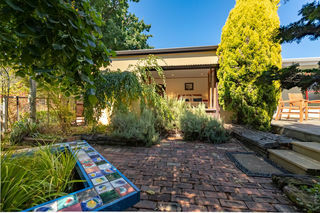 Shy Studio is picturesque and peaceful. 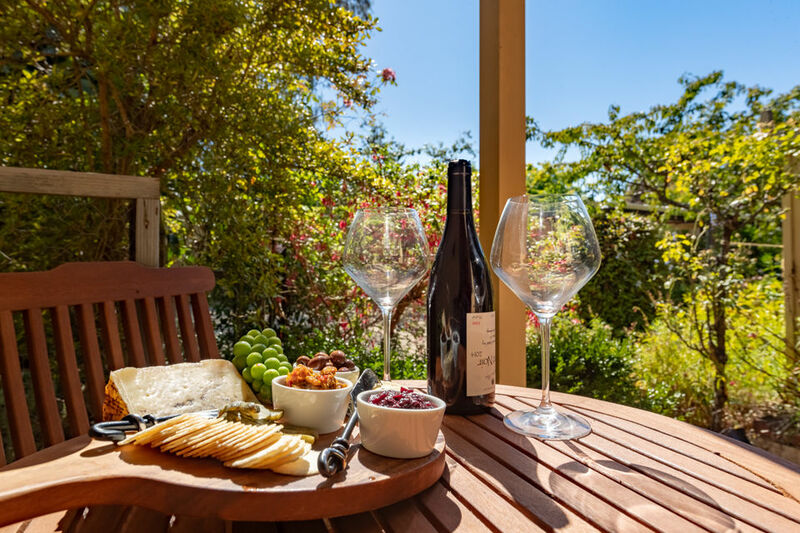 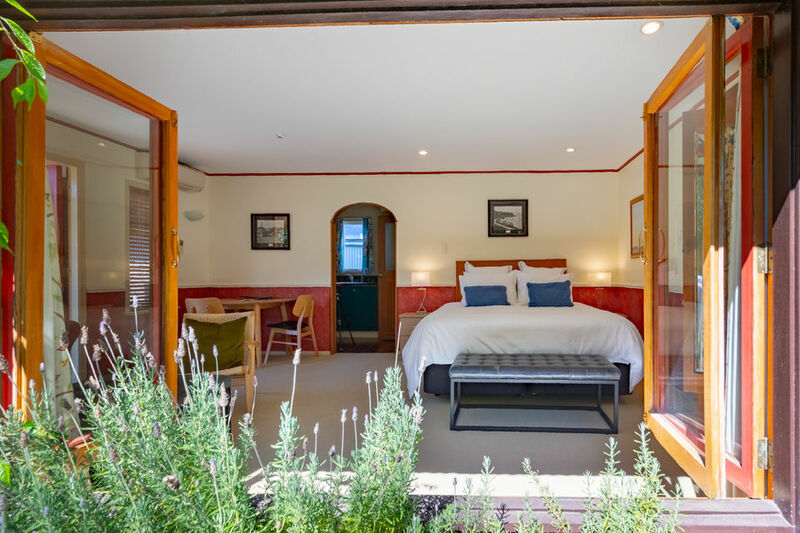 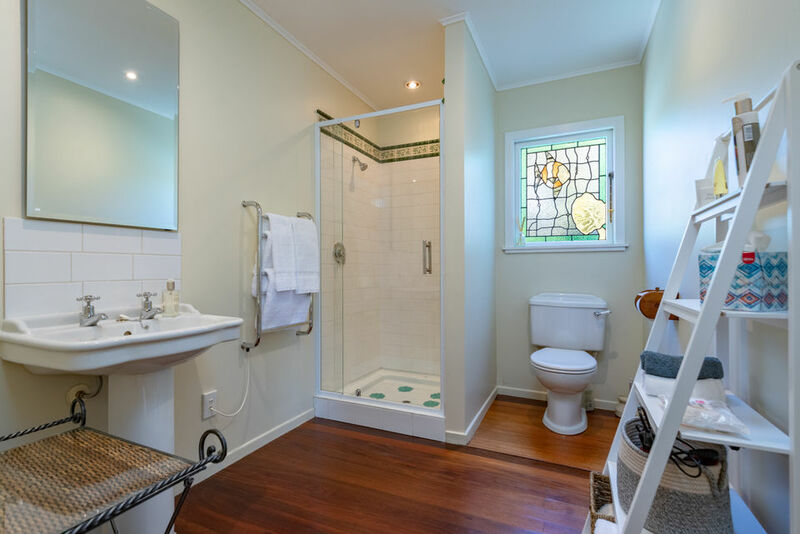 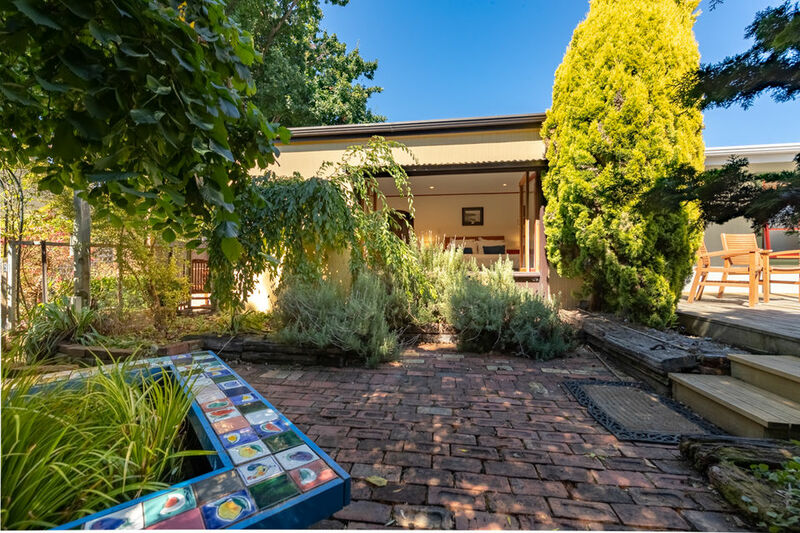 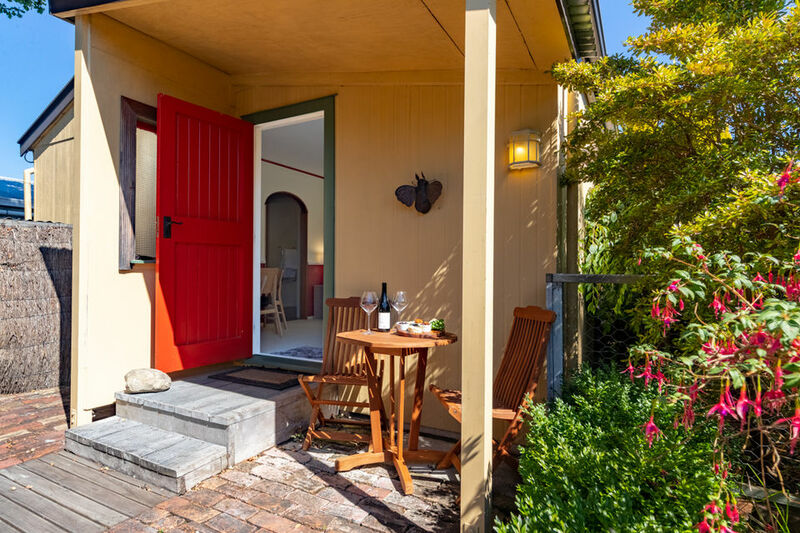 This spacious studio-suite has a large combined living bedroom with a beautiful bi-fold picture window looking out on to the courtyard and fishpond, a separate kitchenette and luxurious shower room. There is also a private outdoor seating area and shared BBQ. 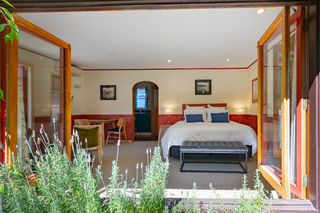 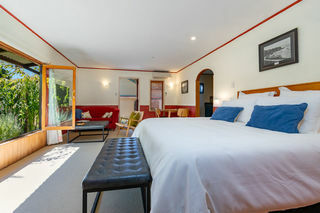 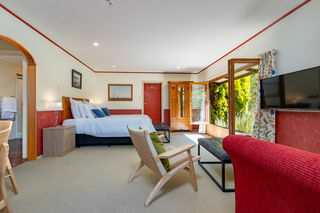 The bedroom area features a comfortable King size bed (which can be split into two singles) with an electric blanket for cold winter nights and quality linen. The living area has a dining table and chairs and, of course, a couch. A heatpump keeps the space warm and cosy on the cooler days. 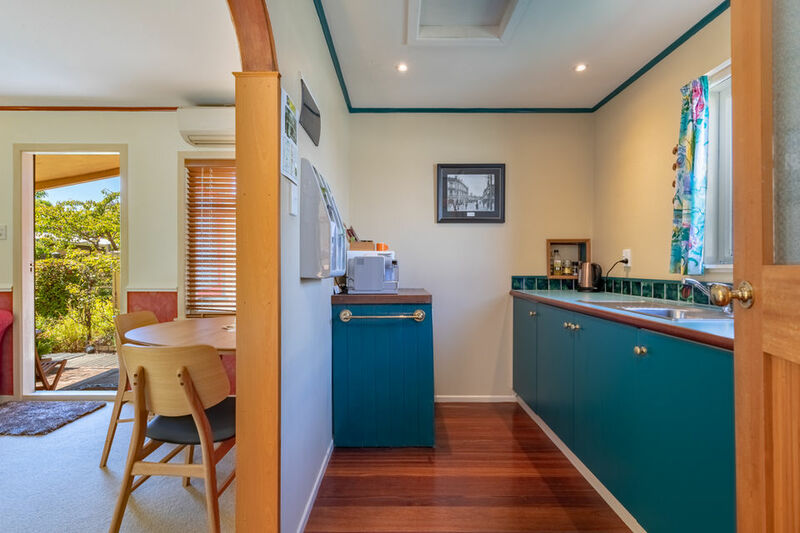 The separate fully functional kitchenette is well stocked including a Nespresso coffee machine, a selection of teas and fresh herbs in the garden for those who choose to self-cater. .
Self cater or take advantage of our "Full Breakfast Kits" (request when booking) or eat at any of the many great local dining options. 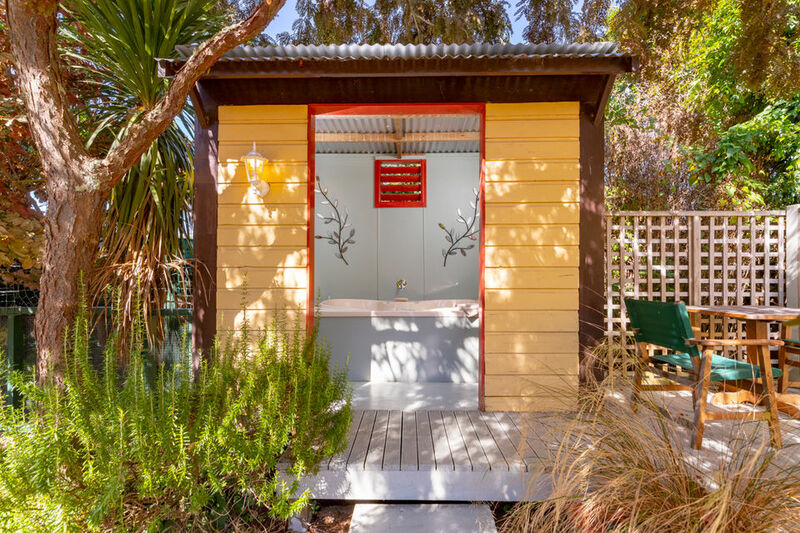 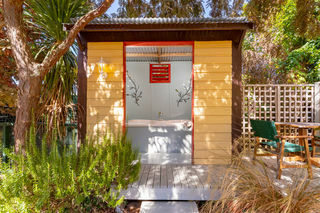 Remember you can also book our Garden Spa Bath for an extra $20 (remember to mention it at the time of booking).